Every Friday, Horse Nation teams up with Ovation Riding to spotlight an individual or organization doing good work in the horse world. 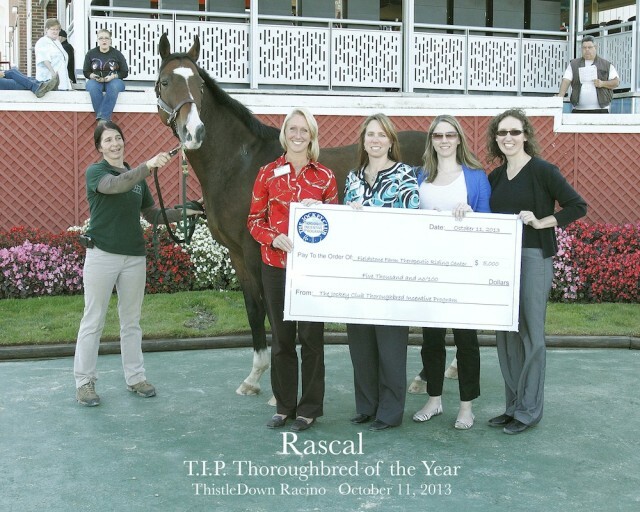 Today, we’re recognizing the National Thoroughbred Welfare Organization. 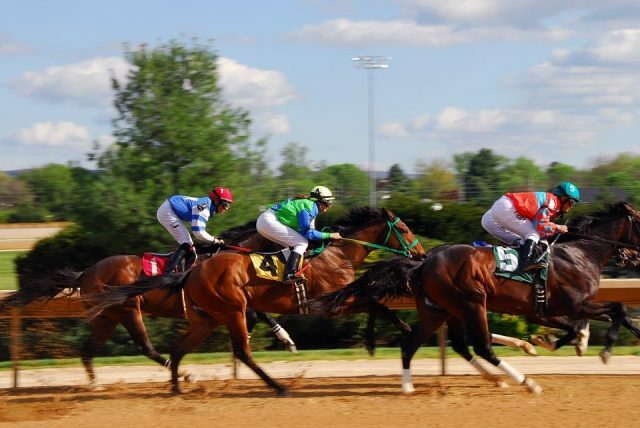 The funds will be used to create a physical space on the University of Kentucky campus that will house the Equine Surfaces and Safety Research Laboratory. 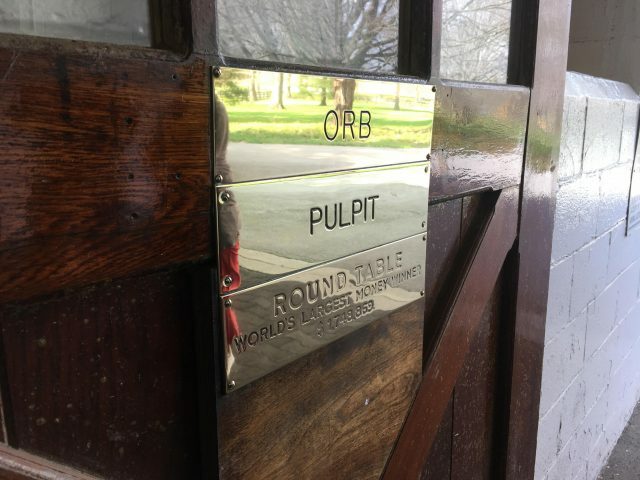 Kristen Kovatch’s 48 hours in the bluegrass concludes with another day of contrasts, spent at Keeneland with a visit to Old Friends retirement farm. 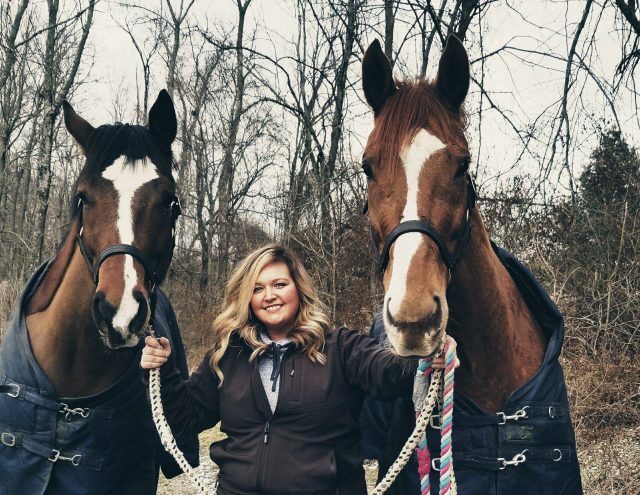 On her whirlwind tour of several Lexington-area Thoroughbred farms, Kristen Kovatch saw a little bit of everything. In Part II of her trip notes, she visits a small family mare operation and perhaps the world’s largest hobby farm. 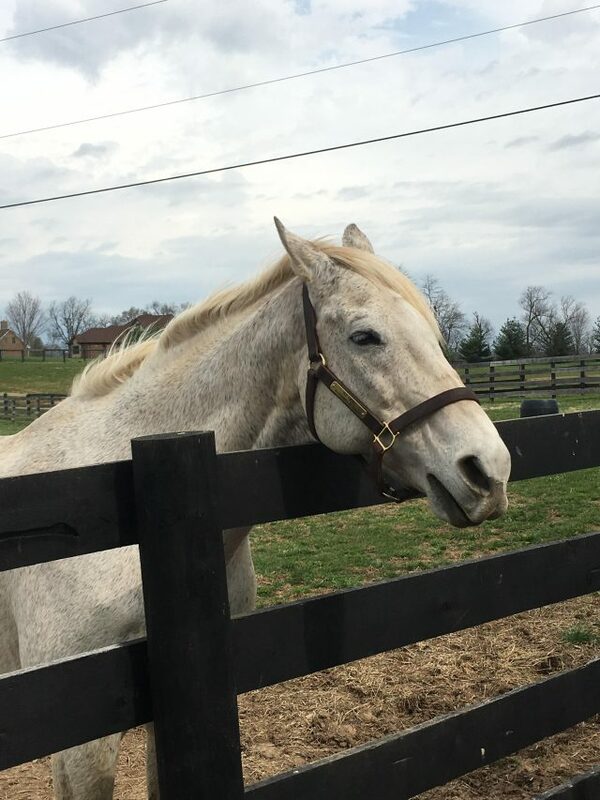 From historic farms to glamorous operations to retirement homes, Kristen Kovatch saw a little bit of everything on a recent trip to Lexington, Kentucky. In Part I of her trip notes, she visits Claiborne Farm, home to legends. 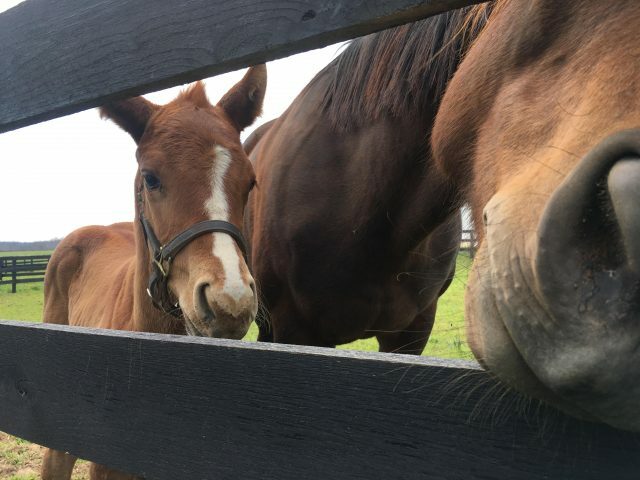 The National Museum of Racing and Hall of Fame has teamed up with Thoroughbred breeders all over the East Coast to present Foal Patrol, giving the public live camera access to the birth of the next generation. 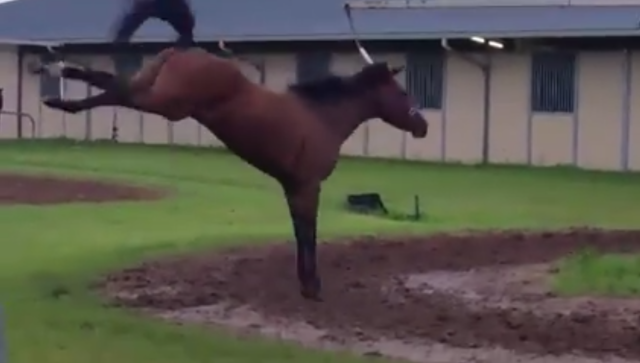 All that bluegrass has clearly been very kind to this Kentucky Derby winner! 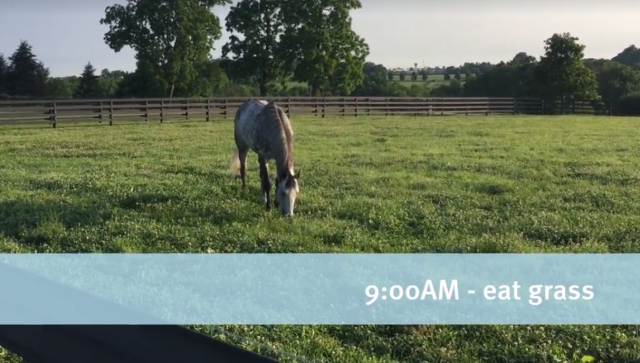 How has Frosted, winner of the 2016 Metropolitan Mile, adjusted to life as a breeding stallion on Darley’s Jonabell Farm? We’ll let you watch this video and judge for yourself. 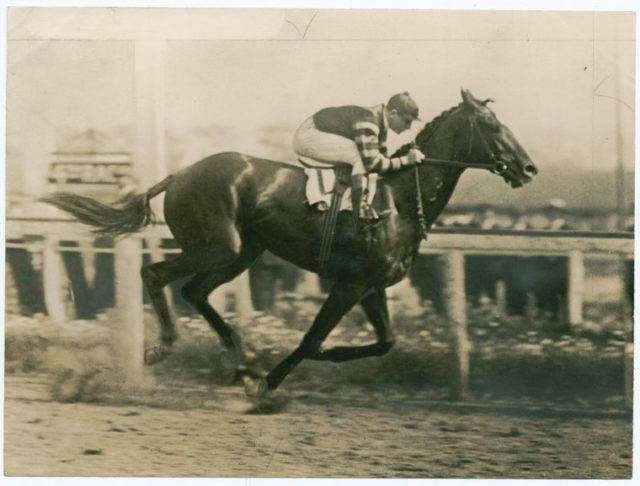 On this day 100 years ago, a legend was born: we retell the story of Man o’ War, one of the most influential horses to shape to Thoroughbred racing industry. 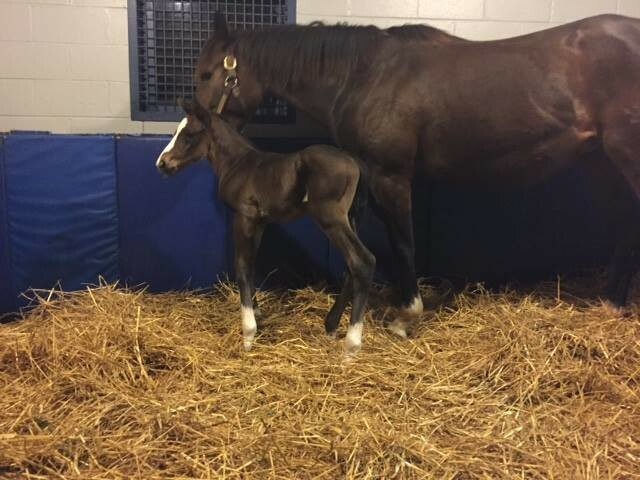 The first foal of 2015 Triple Crown winner is on the ground! Congratulations to all connections. 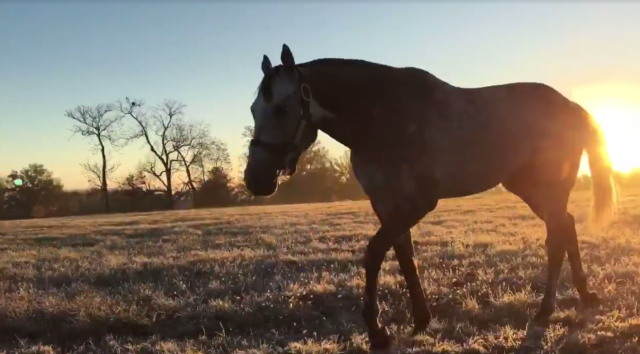 Four-year-old racehorse Frosted has officially retired, and if this video is any indicator he is loving the retiree life! 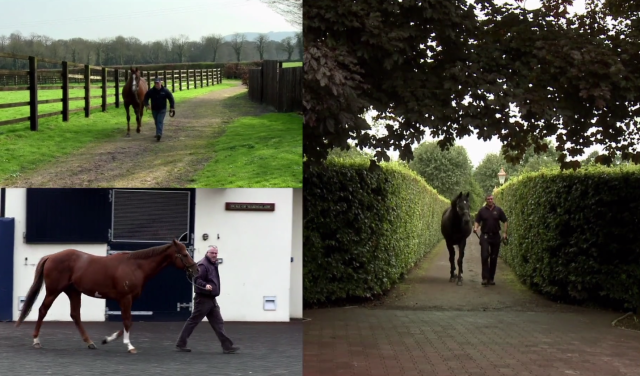 Coolmore Stud, one of the world’s leading breeders of Thoroughbred racehorses, is taking us on a backstage tour of the operation through its “Behind the Gates” video series. Take a look here! 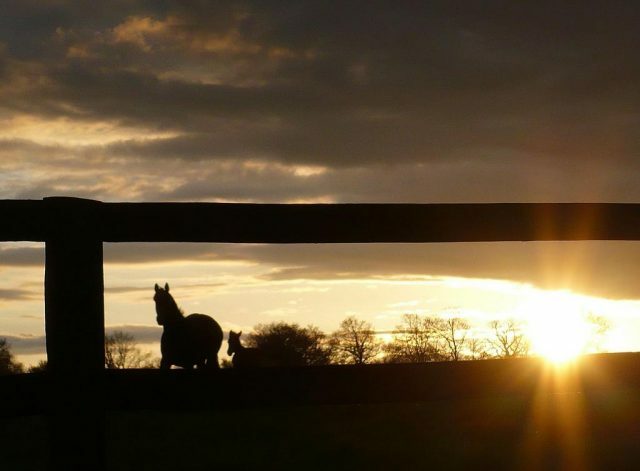 Are you a youth rider who loves their Thoroughbred? 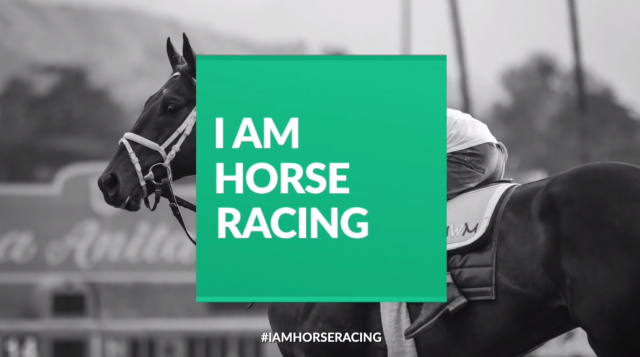 Do you participate in Thoroughbred Incentive Program (TIP) competitions? Apply now for the TIP Youth Ambassador Program! 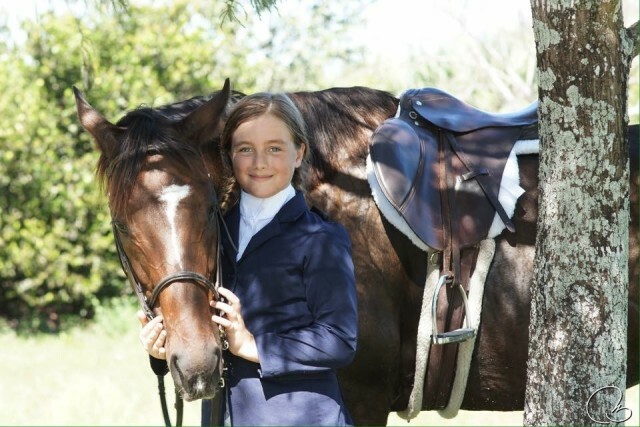 The Thoroughbred Incentive Program proudly celebrates its young horse owners who are dedicated to the off-track Thoroughbred. Meet August’s selected T.I.P. Youth Ambassador! 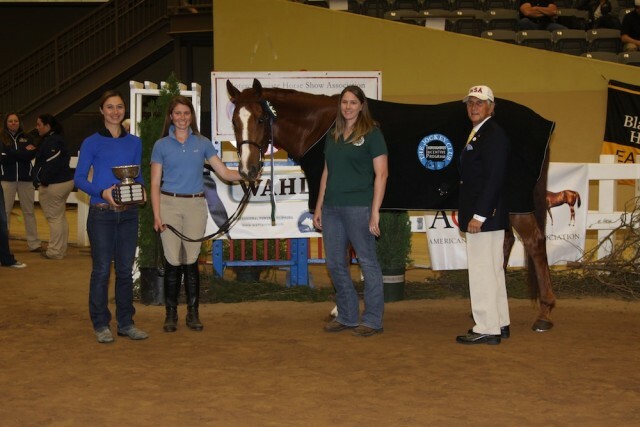 The Thoroughbred Incentive Program proudly celebrates its young horse owners who are dedicated to the off-track Thoroughbred. Meet July’s selected T.I.P. Youth Ambassador! 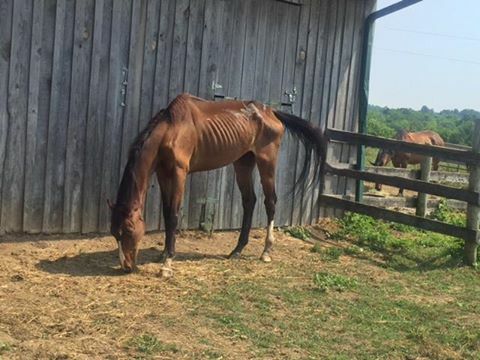 The latest development in the ongoing Borell neglect saga broke this afternoon, when Chuck Borell was arrested and charged with 43 counts of animal cruelty in Mercer County, Kentucky. 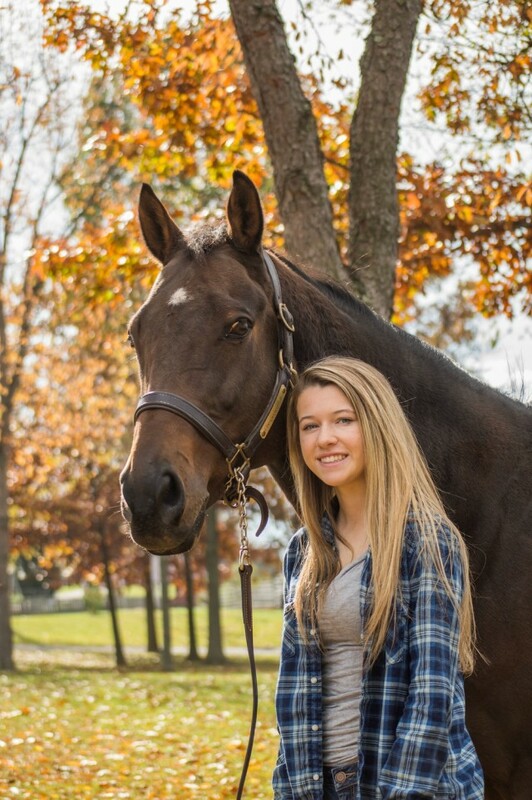 Are you an OTTB lover? Don’t miss out! Our friends at the The Jockey Club Thoroughbred Incentive Program are preparing to award two non-competition awards and are seeking applicants! 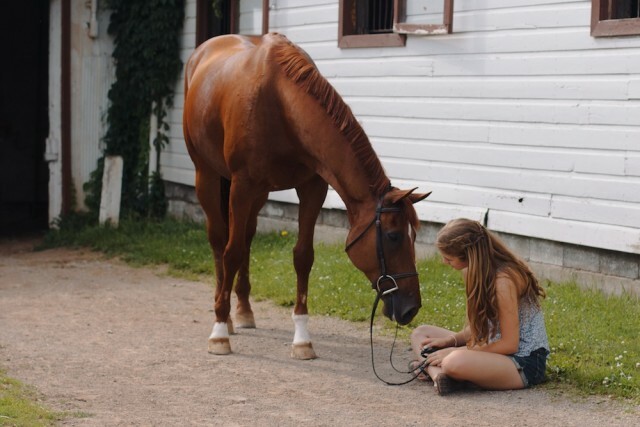 The Thoroughbred Incentive Program proudly celebrates its young horse owners who are dedicated to the off-track Thoroughbred. Meet May’s selected T.I.P. Youth Ambassador! This Thoroughbred is clearly ready to run … if only this pesky hot walker wasn’t holding her down. What a sassy lady! 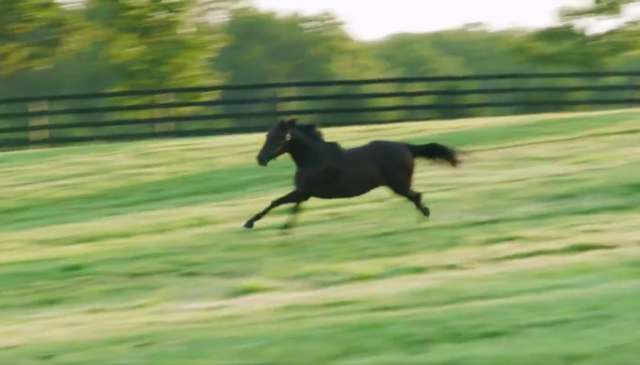 The video’s original poster included the caption “Tuti wants to fly…” and mentioned in the comments that this filly was due for a race soon. We think Tuti would agree. “Red Alert” took home the Thoroughbred Incentive Program Award from the IHSA Nationals at the Kentucky Horse Park in Lexington in early May! 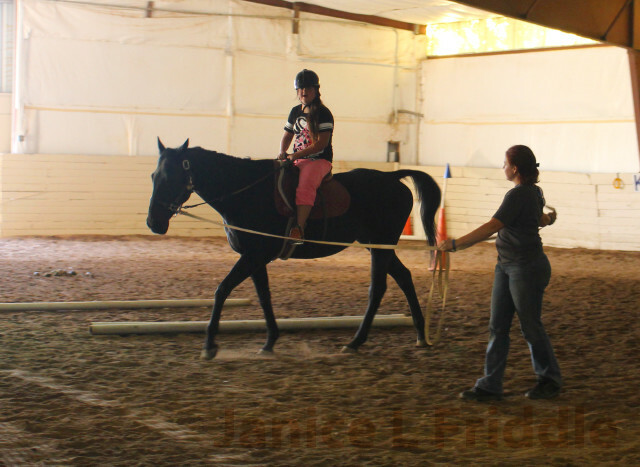 I met Oso for the first time in a shaded barn aisle at Eclipse Equine Sports Therapy Center in Paso Robles. I walked down the aisle, searching for his name on the stall door, excited to see him for the first time. I found his stall, and he looked at me and came to say hello. 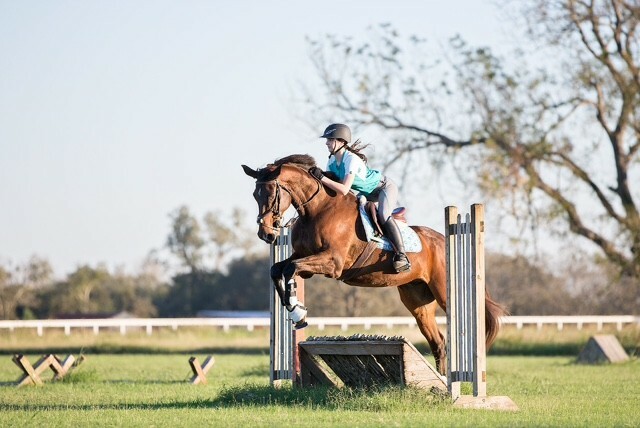 Now, I can try to say it was the rhythm and fluidity in his walk down the barn aisle, or the suspension in his trot as he jogged down the driveway that made me conclude he would be an excellent prospect for eventing or dressage. But in truth, it was the friendliness in his gaze, and the gentle way he reached his nose out to nuzzle my hand that told me Oso was a special horse. Time will tell if he will be a future dressage or eventing star (I think he has all the tools to be!). For now, I’m going to savor our first few rides, and enjoy seeing his lovely face over the stall door every morning. Sigourney Jellins is a professional eventing and dressage rider in Northern California, and a 2016 RRP Thoroughbred Makeover trainer. Oso Smart is a 2011 gelding by Curlin. 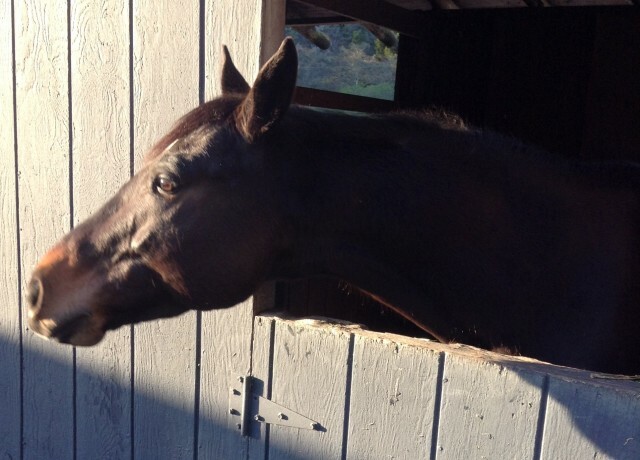 Oso is sponsored by Neigh Savers Rescue; click here to check them out on Facebook. “Like” Oso’s page on Facebook to get updates on his progress!